Who makes more money, a family practice doctor or a neurosurgeon? Don’t be that trainer who says “I can train anybody”. It’s arrogant and unrealistic. This course will help you become a specialist and expert in a huge and growing “niche” market. I hate to even use the word niche because we are talking about more potential clients that you could ever handle and they are looking for trainers who understand them (physically and otherwise) and can help them. Many specialized training methods can be very advantageous for older clients. But they can also be potentially harmful if their unique needs are not taken into consideration. How do you know when to fully apply the method as it is intended and when to modify or eliminate a particular movement or pose? If you are trained in any of the following methods: Pilates. Yoga. Kettlebell. Crossfit. Martial Arts. Bootcamp. Sandbag. Free weight. Body weight. Then this course will teach you how to use those methods in a safer and more effective manner with your older clients. By specializing in functional aging you will stand head and shoulders above your competition. The unique knowledge and skill sets that you will acquire through FAI will enable you to speak with expertise on topics of interest to this population and the media. Get booked regularly on local TV and radio segments. Build a large following through your blog. Host seminars and presentations alongside physical therapists, physicians, chiropractors and other healthcare professionals. Create e-books and videos to sell interested clients that live outside of your local area. When you learn how to effectively train mature clients for maximal function and quality of life you will create raving fans that will not only stick with you for years but will tell others who also NEED your skills and expertise. The mature market is not a niche. It is the largest and fastest-growing fitness market in the world and will be for the next 30 years. This certification has been ten years in the making. It’s not just another certificate or certification to add to your list, this is thecredential that will set you apart in your market to work with the 55 plus market. Drs. Dan Ritchie and Cody Sipe have PhD’s in Kinesiology and exercise physiology with a specialization in aging. 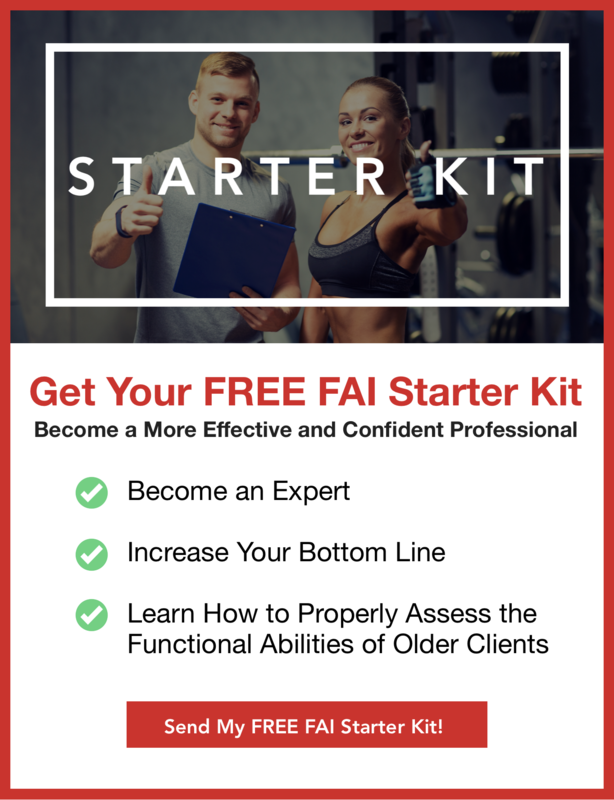 With over 25 years of combined fitness experience and thousands of trained clients they are the industry leaders in functional aging.